Jammed under the driver’s side window felt, a police officer’s business card had the answer to my question. The smeared blue ink of the ‘incident report’ number had been scribbled out after a 20-ton city bus struck my Buick. The raindrops signaled the beginning of the end for my favorite $300 daily driver. 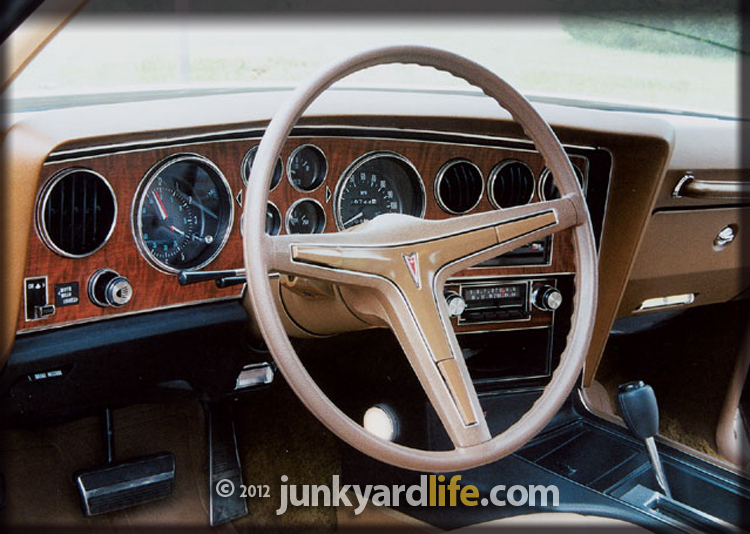 Why did they stop making great interior colors? The ’76 Buick’s cabin was bathed in a stunning red. This, then 30-year-old, Buick spent its entire life in my hometown. Short trips to the beauty shop, post office and grocery store were responsible for the paltry 20,000 miles on the odometer. 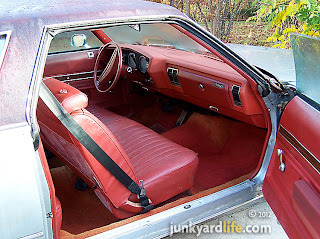 The Buick’s stunning red interior was in near-perfect condition. I bought it and gave the 105hp, 231-cubic inch, Buick V6 a tune-up and a new exhaust system to add some pep. New rubber and swap meet rims complimented the Bicentennial Buick. The little V6 would scoot the big car down the road at 21 mpg but it could not turn a tire to save its life. 21,933 actual miles on the 1976 Buick Century. The damage to my car was minimal. GM’s bumper design worked well. The Buick’s left rear bumper shock was pushed in a few inches. The giant jolt that sent the Century onto the sidewalk left some minor quarter panel damage. The trunk opened and shut without trouble. Glass and plastic from the other vehicle littered the road, where the car I refer to as the “Gray Ghost” was parked. I tossed a large, unbroken, amber turn signal lens into the floorboard of my Buick before I drove off the curb and toward home. I had no idea the lens belonged to a bus that had to be towed from the scene of the wreck. 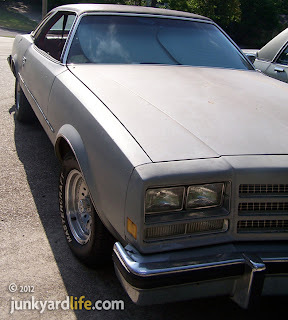 This is how the 1976 Buick looked after I bought it and drove it home. White walls and wheel covers! The ’76 Buick Century Special became my daily driver after a tune-up, tires, rims and new exhaust were added. I bought the ’76 Buick with the intention of flipping it for a quick profit but my NASCAR nostalgia kicked in and I decided to make it my daily driver. These were the first bodystyles that I remember as a NASCAR fan. I loved the triangular rear side windows that made the car look fast, sitting still. Big-bodied cars were a site to behold on the high banks of Talladega and Daytona. I was so stoked about my Buick Special “not rod” that I drove it through the Talladega infield on a race weekend and got tons of thumbs up everywhere I went. The fact that I snagged a running car for $300 was reason to celebrate, the Talladega seal of approval was a bonus. I loved that car. 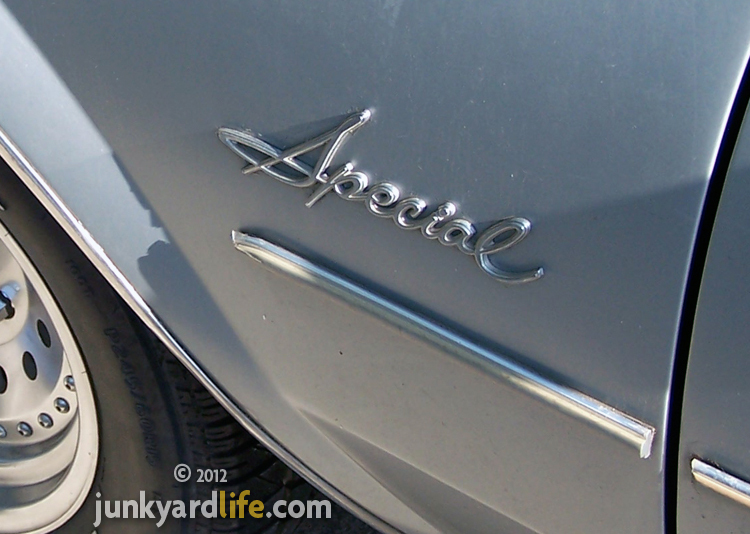 "Special" became the base model Century offering in 1975 on the A-Body, Colonnade Buicks. Six months of back-and-forth dealings with the out-of-state insurer was a huge headache but worth every minute. The average estimates to repair the Buick were $2700. The insurance company offered me $700, to total out my daily driver, but I refused. I fought hard and provided them with a documented mileage statement and photos of the overall condition of the car. They upped their offer slightly. Still no deal. Finally, six months after the bus hit my Buick, we agreed on a number and they sent me a fat check. To my surprise, it was enough money to buy a dependable daily driver. I could live with the settlement but there was one condition. The car would be picked up by a salvage yard. No more 1976 Buick for me. The low-mile, dependable, 21 mpg, daily driver would be taken off the road and parted out. Yes, the bus ate my Buick but the insurance check cleared. 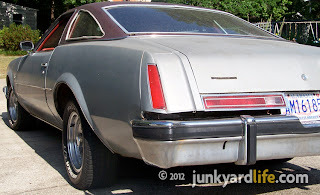 Now I’m on the lookout for another Buick Century Special V6. Buying an old car with low miles is a much better deal than buying a new car. The costs of ownership are much cheaper, plus you have a car like no one else on the road. You can’t buy that one-of-a-kind swagger at a new car dealership. A new car loses up to half of its value in five years. If you buy an older car, you may see a return on your investment. Remember to keep it insured and have it appraised. If it gets wrecked, don’t give it up unless the price is right. Notice the lack of an optional passenger’s side mirror? “Special” meant base model Buick. Better fuel mileage too? I’m still digging to find “after” photos from the wreck. Tailgaters beware of the 5 mph bumpers on these Colonnade A-bodies. They can put a whipping on a bus. Buy now, save later. Living the Junkyard Life, you have those days when nothing falls into place. The scarce parts we long for hide themselves well. Usually. Today, I no longer had the truck in “park” before I saw 'it' there. A late seventies Grand Prix LJ. Oh my Darling Disco Era Personal Luxury Mama. It did! 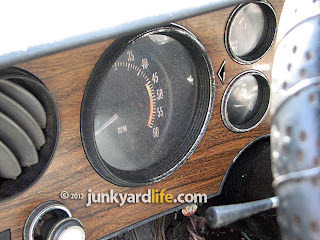 The ever so elusive tachometer! Call off the dogs, the search is over! I didn’t buy the car, just a very important part. 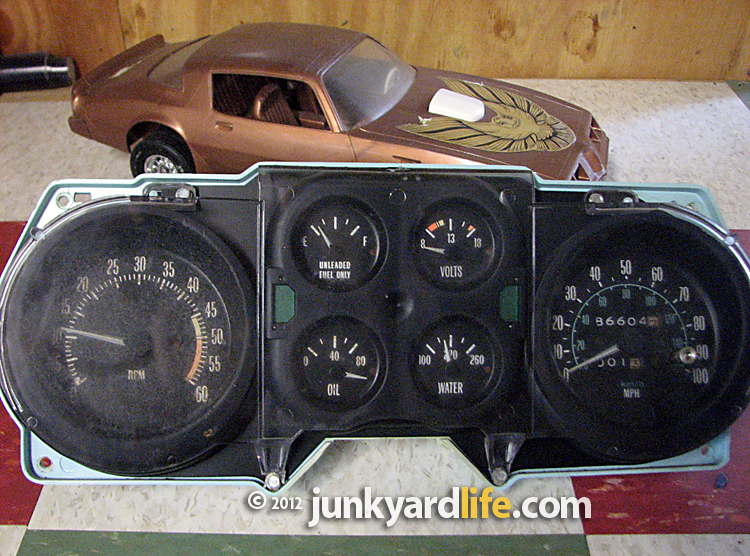 I bought the seldom seen tachometer and gauge package that will someday reside in my Grand Prix. If you follow Junkyard Life you may have come to the conclusion that we dig Grand Prixs. You may be thinking “When did those Galoots get a Grand Prix? What year? What color? What package?” Well, here’s the thing: I don’t actually have one. So here is where the women stop reading. They find it perplexing that we could spend good money on parts for a car we don’t even own. Find a Pontiac Grand Prix tach and buy it! Now I can see the RPM’s. Now I will know just when to shift as I am smacking second gear pulling away from Anthony’s '74 Grand Am or Jody’s '73 GTO. The first hurdle is that I don’t have a Grand Prix, but neither of those guys have those cars either. So, it is really more of a day dream than a street race. Pontiac offered the base model Grand Prixs with only a speedometer and a gas gauge. All the other vital signs were assigned warning lights referred to as “idiot lights”. They didn’t really keep an eye on things; they just told you when it was too late. Pull over. Filling the large spot on the left pod was usually a clock. It was big and easy to read. If not a clock, a vacuum gauge to tell you if you’re driving was doing well on fuel or not. Wow. It’s a good thing they told us or else we may get 8 mpg instead of the possible 12. Not me. You know why? I have a tachometer. The next step up was Rally Gauges. This package was usually found in the SJ and LJ models. However, the name was a little misleading. 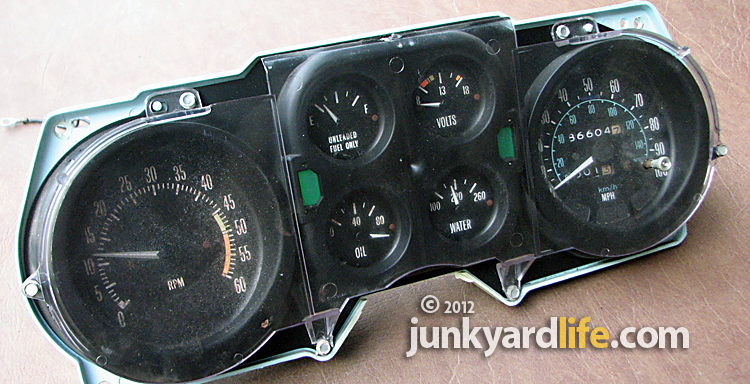 If you ordered Rally Gauges, you got real analog gauges to monitor everything with real numbers and needles. However, you still had to guess your revs, because the Rally Gauges did not include the tachometer. You had to specify it. 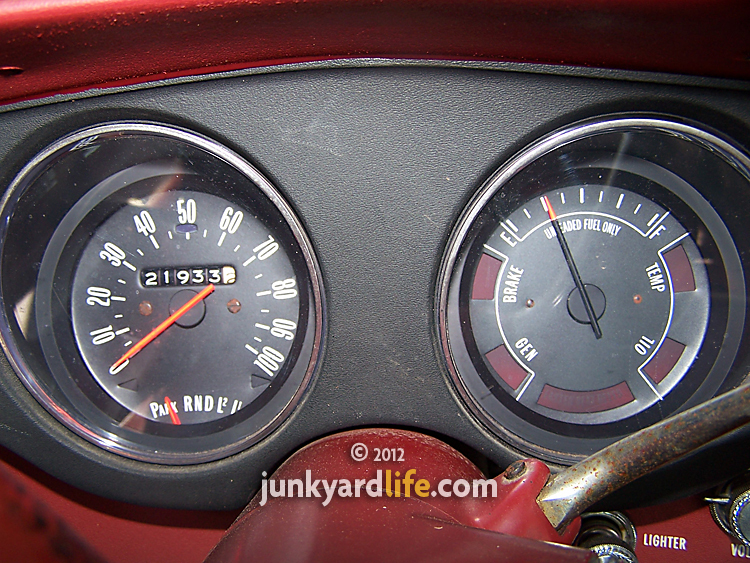 I wonder how many buyers ordered their Grand Prixs with the Rally Gauges thinking they would have the tach and upon arrival…. ”So sorry. You should have said something, if you wanted one.” I thought I did. 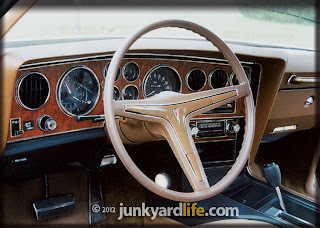 All through the years, most GM cars had a division specific version of Rally Gauges. Most of them included a tach. Yep. A tachometer, like the one I have. This Grand Prix had the Rally Gauges as all analog and the gigantic clock. No one was late in the seventies! Bought a junkyard Rally Gauge cluster with tach, now I need a Grand Prix. So now that I have a tachometer, what am I going to do with it? Despite contemplating building it it’s own garage, (something like a shrine) I am going to take it apart to clean and polish everything. Then put it back together and store it away in a climate controlled environment. Being knee deep in a Chevrolet Bel-Air restoration, I shouldn’t be buying parts for cars I don’t own. (yet). I will. Mark my words-I shall have a '74 or '75 Grand Prix SJ or LJ ! 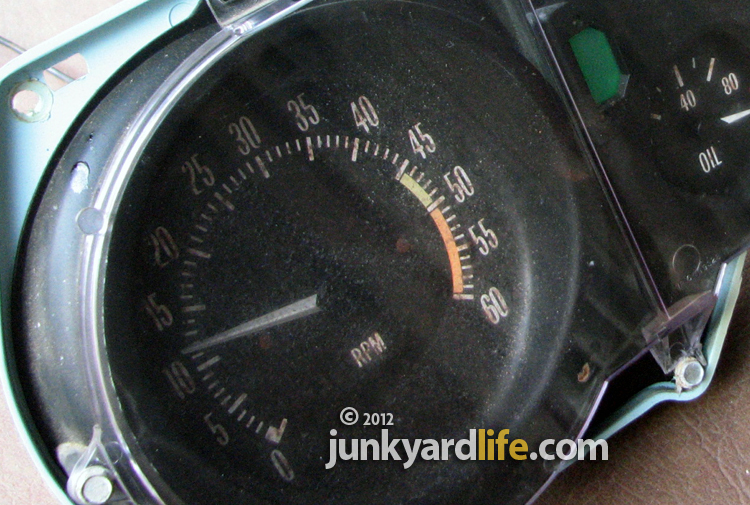 Now that I have a tachometer, I need a rocking Grand Prix to go with it! 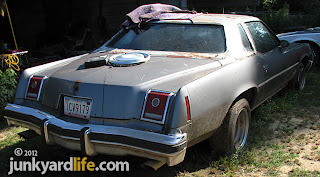 Know of a junkyard I need to visit or want to send me photos and info about a car or junkyard? Send emails to Ron at Kidd403@bellsouth.net or Jody at junkyardbull@gmail.com. Getting the dirt on a barn find Porsche 356. Brandon R. of Tyler, Texas sent junkyardlife the goods on this neglected 90 horsepower Porsche 356. For the better part of 30 years, this predecessor to the famed Porsche 911 has been forgotten. The owner, a recently retired surgeon in east Texas named Smith, didn’t have time to drive the car while he focused on his career. During holiday chit-chat, which soon turned into a bench racing session, Smith mentioned that he had a 50-year-old coupe that he hadn’t taken out since 1981. Brandon jumped at the offer to see the 1962 Porsche 356B Super 90 Coupe with 77,000 miles on the odometer. Documented 1962 Porsche 356B uncovered in Texas. When the dust settled after the door was raised, Brandon saw a near perfect Porsche under layers of dirt. “There she was!,” said Brandon. “It was a mess. The car sat on four flats with an inch of dust covering the body but the interior was intact and decent looking.” After some digging, Brandon discovered all the original paperwork and that the car was in near perfect shape. “I found the original manuals and a bill that showed that the engine had been rebuilt just a couple of months prior to the Porsche being parked.” The Porsche 356B was originally red. When the engine work was done the car was repainted black. Smith admitted that a station wagon and a van were used as his daily drivers instead of the Porsche. The 1.6L, 90-horsepower engine was a bit less power than Smith was accustomed to driving. When new, the Super 90 engines propelled 356Bs from 0-60 in 10 seconds. Not a speed demon by today's standards. Smith decided against making the small coupe the family car. Parking the Porsche was the best way he could preserve it. Porsche redesigned the 356A and included vent windows on the 356B. More than 30,000 Porsche 356Bs were built during their production run, 1959 to 1963. According to Smith, "the 1962 Porsche 356B Super 90 coupes are the rarest of all the 356 coupes." In 1962 the 356s were available in coupe, cabriolet, roadster and notchback (Karmann hardtop) body styles. Really? A Porsche on junkyardlife? Before Smith's wife gets her hands on the Porsche a few banzai runs to the golf course are in order before he decides what to do with it. 77,000 miles on the clock of this Porsche 356Bs instrumentation. Would you leave your Porsche parked in a barn for 30 years? Twin carburetors means more power on a high revving Porsche 356B Super 90 flat 4-cylinder, air-cooled engine. The Porsche 356B T-6 body featured a twin grill rear lid. Barn find Porsche 356B Super with synchromesh 4-speed manual transmission. Smith rolled the Porsche 356B outside for its first wash in decades. The Porsche 356 design evolved with the next generation (1963) 911 models.